Ekiti state governor Ayodele Fayose has revealed how Obasanjo used him to wreck Atiku’s Presidential bid and that of PDP Chairman Ahmed Makarfi. Speaking with ‘The Interview’, Fayose alleged that Obasanjo thwarted the chance of Makarfi becoming the Peoples Democratic Party (PDP) presidential candidate in 2007. He said Makarfi was sidelined in favour of a “sick and stubbornly reluctant” Umaru Yar’Adua. The governor also explained his role in it as chairman of the presidential selection committee. Fayose said in his naivety, Obasanjo used him to attack Orji Kalu, former Abia state governor and other political foes. 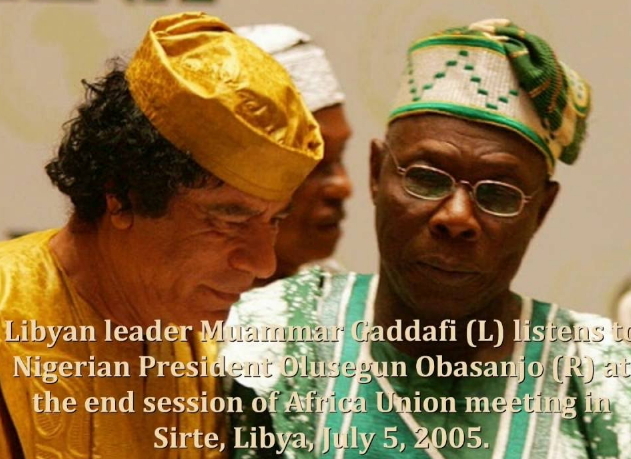 Fayose said the scale fell off his eyes when on a trip with Obasanjo to Tripoli, Libya, where Obasanjo had gone to ask Muammar Ghaddafi to support his third term bid, the former Libyan president treated Obasanjo “like a serf”. Recalling the encounter, he said, “It was such a pathetic scenario, so shameful. Obasanjo was speaking rapidly like a parrot. I was shocked beyond words. I never knew Obasanjo would be that humble. 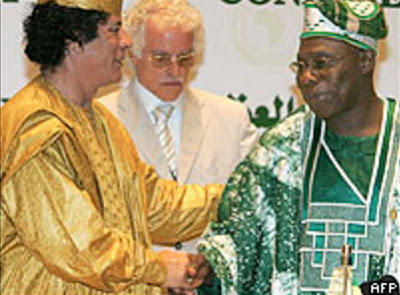 He also revealed how on two major occasions when he went to visit Abubakar at the height of Obasanjo’s third term bid, security details promptly reported him to the former president, even before he left the venue, leaving him feeling spooky and vulnerable. Fayose also said he knew, as an insider at the time, that Obasanjo betrayed former Liberian president, Charles Taylor to induce US support for this third term bid, after promising Taylor safe haven in Nigeria. He warned Orji Kalu against “selling” the Igbo down the river “for cheap politics” and blamed President Muhammadu Buhari’s government for making IPOB leader Nnamdi Kanu popular. He also spoke on his attempts to reach President Muhammadu Buhari directly; relationship with Kayode Fayemi, his predecessor, Bola Tinubu, national leader of the All Progressives (APC); and the futile attempt to discourage Peter Odili, former governor of Rivers, from accepting Obasanjo’s “dummy that he was heir apparent”. Fayose was first elected governor in 2003 but could not complete his tenure as a result of his impeachment. dis ifayaso is a fool how many times is he going to repeat the same thing? Politicians are always the same,they are only after themselves,especially in Nigeria, your own campaign is going on. Rather than for this idiot to face governance,he is busy chasing shadows and just making noise everywhere.So what is the big deal or his biz if baba knelt down for anybody.Truly this lunatic is looking for relevance and recognision at all cost.Stale news.Go and find something good to do with your life and time oponu,akinrada. What happened to oduduwa youths? Or are they not part of this country anymore? Why is it that is only arewa youths that are against Biafra? If there be a GOd in heaven we will see what his final judgement will be for these islamic terrorists that have ruled nigeria for decades wasted six million biafran lives and yet have nothing good to show. And for the wise 1967 is not 2017. My father told me that when a child is pushed to the wall with little or no power to escape he will use any means neccessary to free himself.